The five books presented here are chosen based on one criteria: the depth and elaboration of thoughts oh human nature and human condition. They are not strictly philosophical; for example La Rochefoucauld’s Maxims might be classified as moral psychology. What makes them philosophical is the fact that the books are still be to be explored in terms of their practical implications, they are still to be tested before being taken as scientific facts. But when put to test against our own experiences of everyday life, they sure pass. As you will see, some of the books are quite old. Of Wisdom was first published in 1601, but don’t let that fool you. 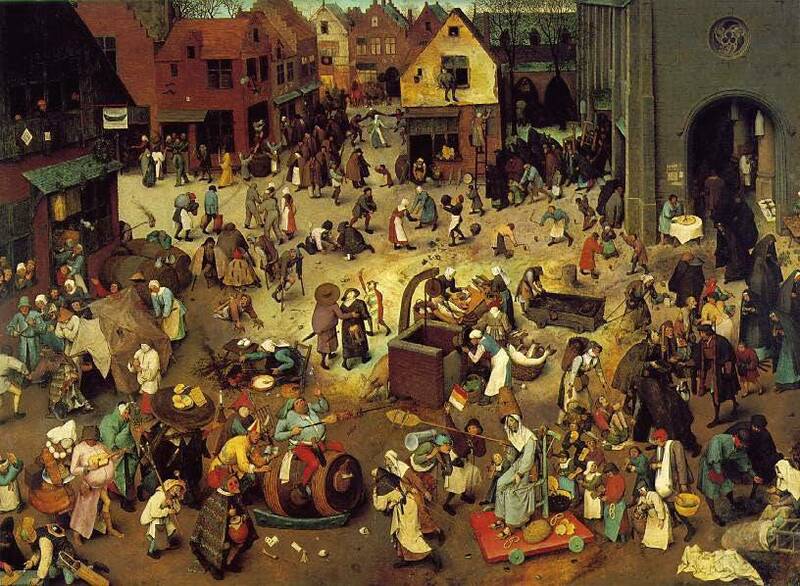 If you read them carefully, you will notice a few things: first a lot of arguments sound just as if they were formulated today; second, you will see that the observations apply very well to modern life. Finally, regardless of their age, there are ideas in them that are still to be fully understood and appreciated. Man’s problems remain the same, while our solutions to them evolve slowly. Human nature is unchangeable and human heart corruptible, no matter how far back you go through history. This selection is more of a philosophical nature. We’re also preparing a collection of the most insightful scientific books on the same topic. 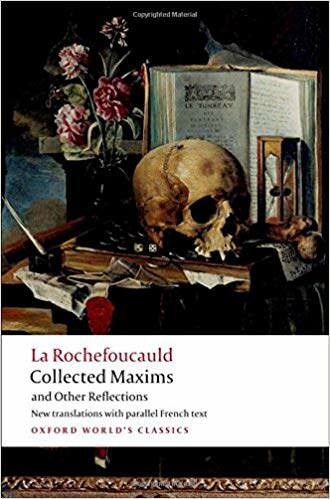 La Rochefoucauld spent several years writing and polishing his Maxims. As a matter of fact, he was not alone in the entire effort – he spent some time with Jacques Esprit and Madeleine de Souvré, Marquise de Sablé who were also working on their own versions of maxims. However, the group fell apart, possibly because of the fact that La Rochefoucauld’s originality and pace in producing impactful thought went beyond that of his companions. 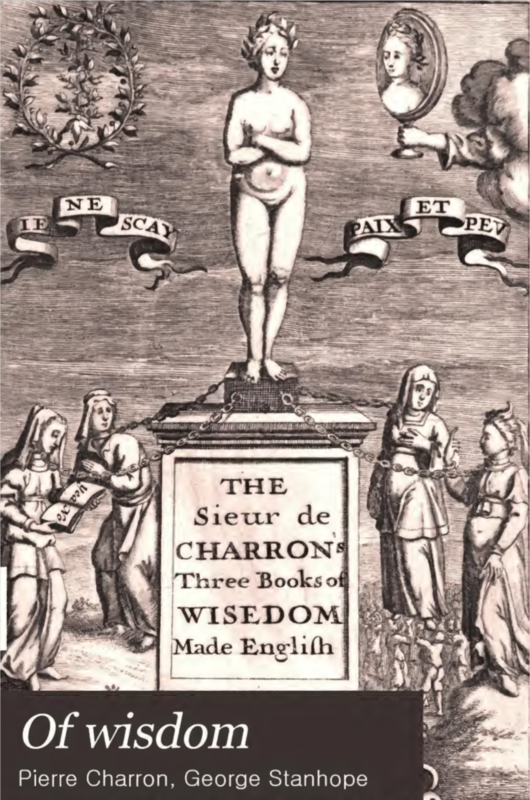 Later on, Madame de Sablé’s published her own Maximes (eighty-one in number), and Jacques Esprit published a book called The Falsehood of Human Virtues (in 1677). La Rochefoucauld’s thoughts cover topics such as virtues, vices, passions and wide array of emotions. Even though Maxims were published before almost 400 years, they still remain a fundamental read for everyone interested in human behavior and a prime example of deep, yet clear and concise thinking. Everyone complains of his memory, and no one complains of his judgement. We would have passionate desires for very few things if we fully understood what we were desiring. If we resist our passions, it is due more to their weakness then to our own strength. Supreme cleverness lies in knowing the exact value of things. John Gray is one of the most appreciated living philosophers. 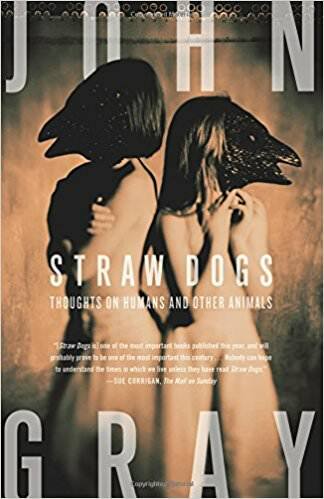 What’s really special about Gray’s philosophy (beside its originality) is his reliance on literary fiction when drawing conclusions about the human condition. When I was reading the book for the first time, it struck me that philosophy could be so much fun. In Straw Dogs, Gray demolishes the idea of so-called “moral progress” (separating and setting it aside from scientific progress). Science might yield cumulative progress, but human morality is susceptible to regress. The same is with the idea of justice: in Christianity and Socratic philosophy justice is timeless, while in reality it is as timeless as fashion. He finally goes on to claim that science itself serves humanity’s two needs: for hope and censorship. Justice is an artefact of custom. Where customs are unsettled its dictates soon become dated. Ideas of justice are as timeless as fashions in hats. Plato’s legacy to European thought was a trio of capital letters – the Good, the Beautiful and the True. Wars have been fought and tyrannies established, cultures have been ravaged and peoples exterminated, in the service of these abstractions. Europe owes much of its murderous history to errors of thinking engendered by the alphabet. The idea of progress rests on the belief that the growth of knowledge and the advance of the species go together – if not now, then in the long run. The biblical myth of the Fall of Man contains the forbidden truth. Knowledge does not make us free. It leaves us as we have always been, prey to every kind of folly. The same truth is found in Greek myth. The punishment of Prometheus, chained to a rock for stealing fire from the gods, was not unjust. Humans cannot live without illusion. For the men and women of today, an irrational faith in progress may be the only antidote to nihilism. Without the hope that the future will be better than the past, they could not go on. Charon (1541-1603) was a contemporary of Montaigne. His philosophy essentially develops the ideas of Montaigne in a systematic manner. His work Of Wisdom is composed of 3 books. In the first book, Charon elaborates man’s passions in general, such as love and it’s different sorts: ambition or pride, avarice and carnal desire. He then dissects topics of particular emotions (a list that resembles Aristotle’s list from Rhetoric): anger, hatred, envy, jealousy, grief. There are several chapters dedicated to something Charon calls “general nature of man” which consists of four features: man’s vanity, weakness, inconstancy and misery. The Ambitious Man strives to be first, keeps his Eye forward upon the Goal, and upon those that have the Start of him but forgets and takes no notice of the many he hath outstrip himself. He feels more Discontent for The Man that has got before him, than he enjoys Satisfaction for a Thousand that he has left lagging after. Seneca observes very well: “This is the constant Fault and inseparable ill quality of Ambition: never to look behind it. Ambition is giving Chase to a Vapour, catching at Smoke, instead of Fire and Light; embracing a Shadow, instead of Body and Substance; it is making a Man’s whole Happiness precarious, suspending all the Satisfaction and Content of his Mind, upon Popular Opinion, the Humour and the Breath of an ignorant and changing Multitude. It is a voluntary, and consequently the very worst, and most despicable Slavery ; the parting with our own Native Rights and Liberties, and depending upon, the Arbitrary Passions Of other People : ’tis the putting one’s self under perpetual Constraint and engaging to act contrary to one’s own Sense, in Hopes, by displeasing and disapproving to please and gain the Approbation of Spectators; ’tis a sacrificing our Affections and Reason to the Capriciousness of Spectators; ’tis the prostituting of Conscience to common Opinion; renouncing all love of Virtue, any farther than the World shall please to like, and keep it in Countenance; and ’tis the doing of Good, not for the like of Goodness, but merely in Confederation of the Credit and Advantage to be got by it. In a Word, such Men are like full Vessels, that must be pierced for the Liquor they contain; not one Drop can be drawn from them, unless you give them Vent: nor any Benefit to be had of these Qualities, but such as takes Air. Giacomo Leopardi (1798 – 1837) was an Italian philosopher, poet, essayist, and philologist. He is widely seen as one of the most radical and challenging thinkers of the 19th century. Only a few of his essays were published during his lifetime. He kept an notebook, known as the Zibaldone, or “hodge-podge of thoughts”. It contained around 4,500 handwritten pages. His comments about topics as wide as religion, philosophy, language, history, anthropology, astronomy, literature, poetry, and love are unprecedented in their brilliance and suggestiveness. 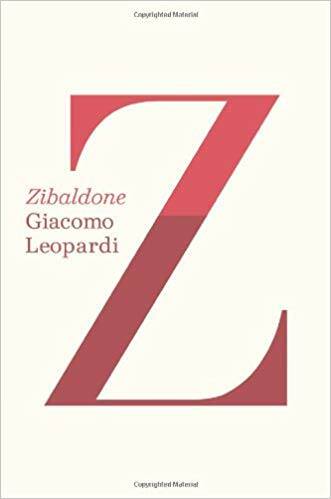 Zibaldone, which was only published 60 years after Leopardi’s death, has been recognized as one of the foundational books of modern culture. Leopardi was a critic of modern ideals. One of the backbones of his thought are the reflections on human nature and its impossibility for improvement. What was destroying the [ancient] world was the lack of illusions. Christianity saved it, not because it was the truth but because it was a new source of illusions. And the effects it produced, enthusiasm, fanaticism, magnanimous sacrifice, and heroism, are the usual effects of any great illusion. We are considering here not whether it is true or false but only that this proves nothing in its favour. But how did it establish itself amid so many obstacles …? No one understands the human heart at all who does not recognize how vast is its capacity for illusions, even when these are contrary to its interests, or how often it loves the very thing that is obviously harmful to it. 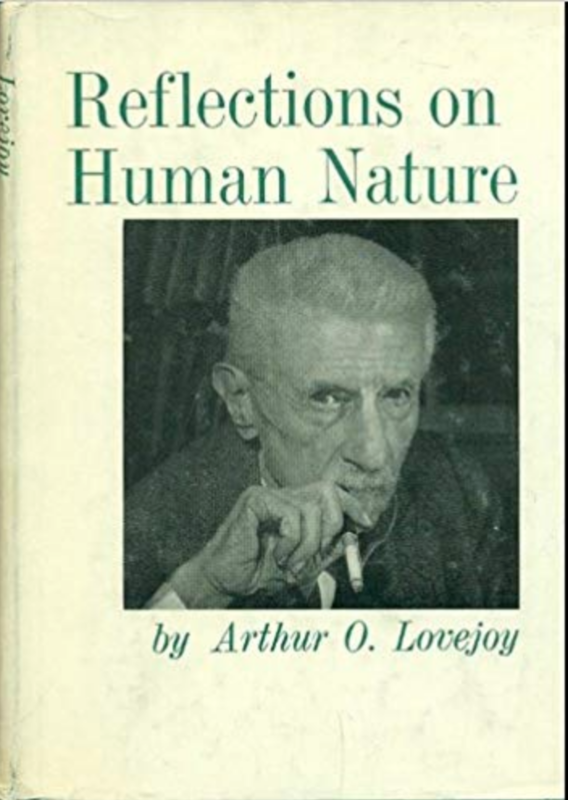 This book is actually a collection of lectures delivered by professor Lovejoy in 1941. His more famous book is The Great Chain of Being: A Study of the History of an Idea (1977). While this book contains little original material compared to the four previously mentioned books, it is a great introduction to various theories of human nature and their application. For example, one chapter tells how theories of human nature influenced the creation of the United States Constitution. Another important fact that puts Lovejoy’s book on this list is that the lectures were delivered during the Second World War. The atmosphere of war certainly directed his attention towards theories which highlighted reversible inclinations of human nature. The book should serve as a great reminder for our time, when books are flooded by the illusion that man’s nature has become so good, that it’s irreversible and will become only better.